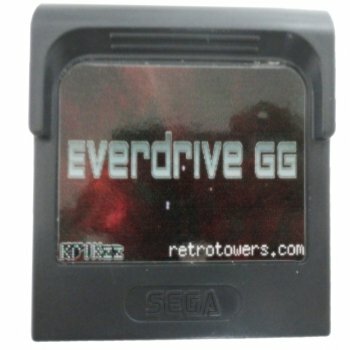 Everdrive GG is a flash cart for the Sega Game Gear. It can play Game Gear and Master System games on a Game Gear console. Note: To move the SD card in and out of the Everdrive GG shell version. You will need to use a 3.8mm gamebit to open the shell every time. The 3.8mm gamebit is included with this product. Note: Game Gear shells are made from used pre-owned games, so there may be a few minor marks on them and the original label will be replaced with a Everdrive GG label.